Once the water comes up to temperature we sous vide the chicken for an hour and a half. It is important to remember to start early or else you’ll be eating around 8 PM! I cooked the rutabagas for 20 minutes in the microwave after they were peeled and cut in fairly small pieces. I also added some kale to the broccoli for some dark greens power boost! I don’t usually post any recipes on my site because most of the food we make is pretty straight forward. I sometimes use a recipe when I am trying something new but we always end up changing it as we go along tasting our results. I keep a binder full of recipes that I have copied off the internet. The most important thing about them is that I record how I changed the recipe to suit our taste. So what my point is – start with a recipe as an idea but make it your own! 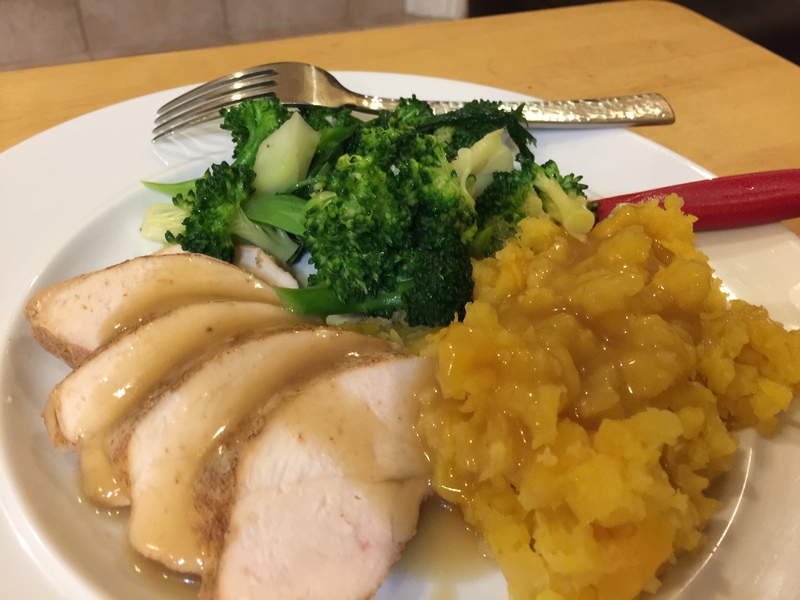 This entry was posted in Poultry, Vegetables and tagged broccoli, chicken breast, rutabagas, sous vide. Bookmark the permalink.